Angle grinders are a multipurpose tool that requires adequate care. Regular maintenance of angle grinders helps to keep the angle grinder in good shape and condition. On the other hand, poor maintenance causes you to have not just a shabby looking tool, but a poor performing tool. In this discussion on angle grinder care, we shall be examining the how and the need for angle grinder maintenance. This discussion will help your understanding of why you need to maintain your angle grinder. It will also provide you with how to maintain angle grinder. You need to read this discussion to the end to appreciate how much you can do with angle grinders. Why Is Angle Grinder Care Important? Operational efficiency, if simply put, is the performance and strength of a machine. How well a machine can deliver the task ahead of it is what measures the operational efficiency of such machine. Regular maintenance of the angle grinder is a good way to improve its operational efficiency and allows you to use your grinder for many projects. This is because when the angle grinder is regularly maintained, it remains fit for whatever purpose it is to serve. Getting a tool and having to do away with it after a short while is not the best option for any wood or metal worker. The angle grinder being a very simple tool requires timely maintenance to enhance its life span. This is to be done through regular cleaning and inspection. You should also make sure every attachment to the angle grinder is compatible for the purpose it is to be used. When dust, debris and other particles begin to accumulate in particular places of the machine, it is most likely to begin malfunctioning and require you to think of maintenance. With regular maintenance, you are able to take away these dirt and debris from the angle grinder. You will also be able to take not of parts that needs to be greased and have them greased. All of these decreases the likelihood of the angle grinder malfunctioning while in use. For beginners and long-time users of angle grinders, an angle grinder maintenance manual is needed. This maintenance manual is what provides users with all the necessary information needed to effectively maintain the angle grinder machine. Let us look at some of the basic maintenance factors in this brief periodic maintenance manual step. For better understanding, we shall be providing a step by step tip to follow when maintaining angle grinders. Clean the external and internal surfaces of the angle grinder. In order to ensure that the angle grinder is free from dirt and debris, cleaning the surfaces before use is very important. Ensure that it is properly greased. Make sure you check the grease of the angle grinder before you commence use. This way, you will be able to prevent it from not working well as friction will be poor. Make sure it is properly connected to the power cable. Proper connection to the power cable Ann’s other auxiliary cable is needed before you start making use of angle grinders. Check to be sure that all cables are in place and the best working condition. Constantly replace the grease. Once you have used the machine for a period of say 50 hours, there is need to replace the grease. The more time you spend using the machine, the more you need to pay attention to the grease. Check to ensure attachments are still in place. Attachments need to be checked and inspected after a long while of use. This way, you are able to still ascertain their compatibility and fitness. Next to be discussed, is the DIY inspection and maintenance guide for angle grinders. Here, we shall be examining the steps involved in disassembling and reassembling an angle grinder. We shall be doing this in the simplest possible ways to ensure beginners can have a good idea of it as well. How to Disassemble an Angle Grinder? In order to be able to effectively clean angle grinders, you must know how to be able to disassemble angle grinders. A number of steps have been provided in the DIY inspection and maintenance guide on how to disassemble an angle grinder, but let’s run quickly through them. If your chosen angle grinder came from a famous brand, you must have got a manual which can be followed. Make sure the grinder is totally disconnected from the power source before you disassemble any of its parts. Go on to unscrew bolts and loosen up tightening, so as to make it easy for you to be able to separate all the parts without having to damage any. Carefully take the angle grinder blade away by losing it off from its holding and place it separately. Remove other attachments one after the other from the auxiliary cables to the carbon brushes. How to Clean and Reassemble an Angle Grinder? Get a clean cloth that is lint free and wipe parts of the angle grinder taking away any dust and dirt from it. For the carbon brushes, you can make use of a dirt remover to remove dirt from it. For carbon brushes that have grown shorter than 5mm, the best option is to change them. In cleaning the blade of the angle grinders, make sure you do not use a wet cloth or rag. This way you can avoid the angle grinder blade from rusting. Remember a rusty blade can cause you serious harms and you might not be prepared with the safety measures. Make use of a rust remover spray on the angle grinder blade from more effective cleaning. A towel or some soft clothing should be used to clean the compressor while air should be blown into it making use of an air blower. Do not neglect the motor and the bearings of the angle grinder when cleaning. Wipe them with the lint free sackcloth. Follow every step through has was effected when disassembling the angle grinder. Make sure every attachment of the angle grinder which includes its motor, bearings and auxiliary handles are well fitted in place. Replace blade and make sure it is properly and firmly fastened into is place. Check to be sure that the on/off switch is well connected with the angle grinder and, both connected to the main power source. When you are sure that everything is in place, power the machine and run it for a while to be sure it has just been reassembled correctly. The grease in an angle grinder is what is responsible for the effective of various parts of the angle grinder one against the other with ease. In order to ensure that these parts continue to move and function effectively, the grease as to be changed from time to time. The time variation for changing the grease of an angle grinder varies depending on how long or how well it used. However, the steps required to replace the grease of an angle grinder is the same irrespective of the type or size. To replace the grease of the angle grinder, follow these basic steps. Ensure that you switch of the angle grinder from the power switch. Do not attempt to replace the grease of the angle grinder while it is on and working to avoid being hurt. Carefully remove the previous grease. With the angle grinder put off, you can go on to remove the grease that is to be replaced by draining it out carefully. Avoid coming in direct contact with it. Replace with another grease. With the previous grease already removed, go on to put in another grease into the angle grinder. When this is done, your angle grinder is then going to start functioning like you just got it newly. The need to maintain an angle grinder considering its many importance cannot be exhausted. So also can tips to take note to maintain the angle grinder. Experts and individuals alike who have used an angle grinder always come up with additional helpful tips to maximize its uses and keep it in the best working condition. With a number of these tips provided earlier in this discussion, let us take a quick look at other additional tips to consider. As a machine that you get to use more often than not, one major way to keep it working is to clean it often. While a number of people think it is best to clean it periodically, weekly cleaning is the best. As soon as you are done making use of the angle grinder, make sure to clean it free from every dirt. To do this, you can make use of a cloth slightly soaked in water. Start by cleaning the external parts of the machine before going on to clean the air compressor. Because of the delicate nature of the compressor, you can get a soft towel specially for it. After cleaning the compressor, blow air into it so as to take away dust and debris from the surface of the machine. You should also make sure you wipe clean the motor and bearings of any dust or debris. Asides from cleaning the angle grinder, you have to be sure always that all the parts that aids it functioning are well and in place. This will help you in quickly addressing any likely breakdown to the machine while in use. Among other things to inspect periodically are the auxiliary handle, the on and off switch and the power supply cable. The auxiliary handle and power supply cords or cable should be inspected to find out if there are any breakages or cuts. This way, you are already to breach any issue of shock that may arise from coming in contact with these cuts. Immediately you notice any cut in the auxiliary handle or power supply cord, repair it. The power on and off switch is what helps you to control the flow of power into the angle grinder machine. You should check it periodically to be sure that it is in the best working condition possible. Sometimes it is possible that dust accumulated during use of the machine get into the switch. This prevents it from working properly, so you have to constantly take away any dust and debris from the power on and off switch. The carbon brushes contribute largely to the effective working of the angle grinder. These brushes when they are used continuously are most likely to wear off and need to be replaced. How do you know the state of these brushes if you do not check them periodically? The required brush length for carbon brushes is 5mm, anything short of that shows that the brush needs to be replaced. A number of reasons why these carbon brushes wear out easily is the presence of dust especially when you happen to be using abrasive concrete. When a worn out carbon brush is noticed, make sure to replace it immediately. Constantly check and remove dusts and diets from carbon brushes to prolong the lifespan. The gearbox is also as important to the angle grinder as much as carbon brushes are. After a long while of use, concrete or metal dust are likely to accumulate and affect the effective working of the gearbox. Checking the gearbox regularly will help you detect and remove dust from it. It is also very important that you grease the gearbox from time to time to keep it running smoothly. Applying pressure can damage the angle grinder faster than is expected. This is why you should make sure in every way possible, pressure is not applied on the machine when it is loaded. To work with the angle grinder, all you need to do is to hold it tightly by the handle to ensure that it is firm and in place. When tightly and properly held, you don’t need to mount any other pressure for the machine to function effectively. Applying too much pressure on the angle grinder is likely to damage the disc or cause the machine to grow faulty easily. To get various purposes served, you need to count on additional attachments and some accessories for the angle grinder. It is your duty to first check and attest to the compatibility of these attachments before making use of them. Do not for any reason make use of attachments that are likely to affect the overall function of the angle grinder. Angle grinder cleaning disc and other attachments fall into this category of compatibility and requires that you check their fitness with the angle grinder. Compatible attachments keep the machine working effectively thereby increasing its overall performance. Keeping your angle grinder in the best working condition is as important as buying one. Not only will you be able to do more with such angle grinder, you will also be able to save yourself some costs that might come with unnecessary repairs. Following through on angle grinder care discussion will provide you with all that is needed to keep your angle grinder working and working effectively. 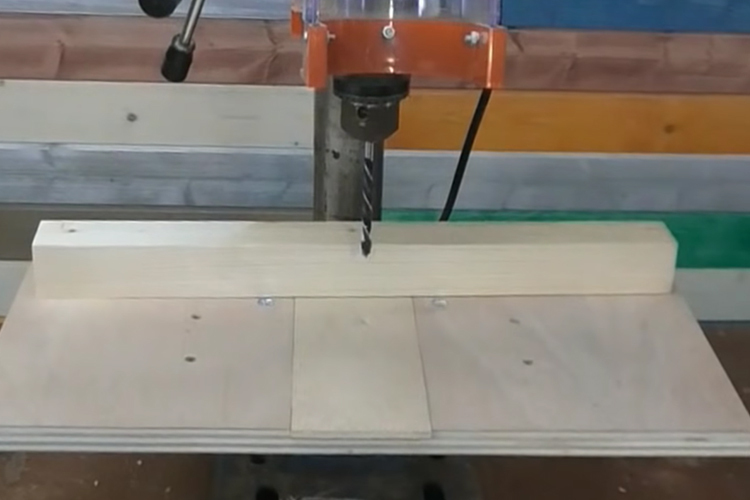 5 How to Remove Chuck from Drill Press for a Safe Replacement?